What does US Netflix have that Canada does not? 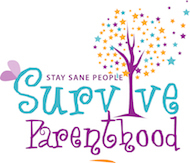 Visit Survive Parenthood 's profile on Pinterest. Just enter your email address to subscribe to Survive Parenthood Magazine and you'll receive notifications of new posts by email.